THIS TWO STORY 4 BEDROOM, 2.5 BATHROOM HOME WITH A TWO CAR GARAGE FEATURES A FORMAL LIVING ROOM AND FORMAL DINING ROOM. THE KITCHEN HAS AN ISLAND AND A BREAKFAST NOOK. THE KITCHEN ALSO HAS DOUBLE PANTRIES AND OVERLOOKS THE FAMILY ROOM. PLENTY OF UNDER THE STAIRS STORAGE. ALL BEDROOMS ARE LOCATED UPSTAIRS. UPSTAIRS THERE IS ALSO A LARGE LOFT AREA. THE MASTER BATHROOM FEATURES A GARDEN TUB AND SEPARATE SHOWER. THE APPLICATION AND GUIDELINES ARE ATTACHED TO THE LISTING. 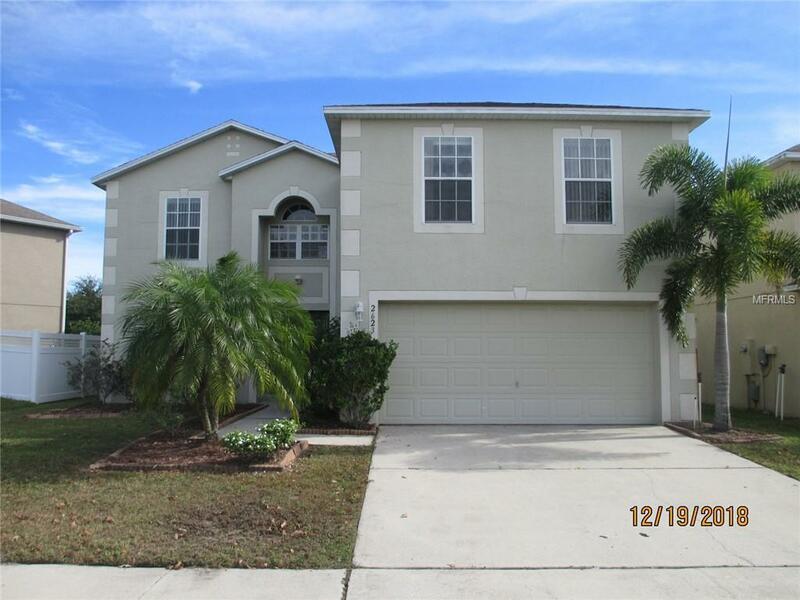 Listing provided courtesy of Sundance Of Florida Cf, Inc..